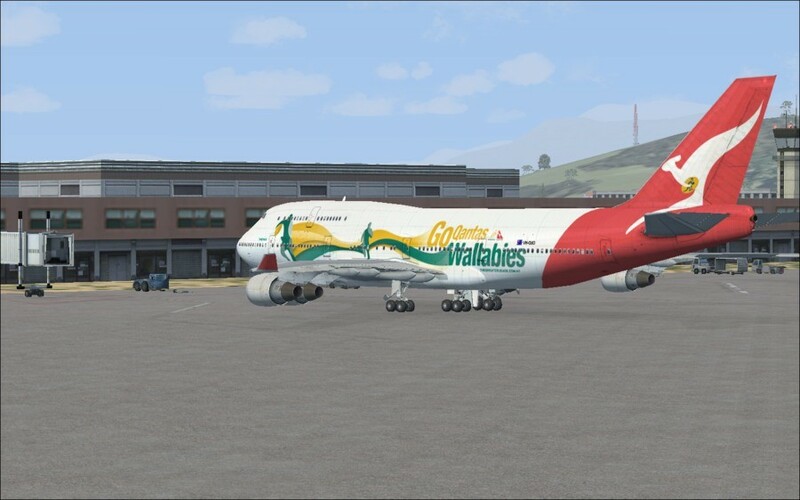 Flying Australia is an add-on mission pack published by Perfect Flight and provides FSX pilots who live or fly in Australia the opportunity to undertake realistic flights with the benefit of guidance provided within the FSX missions framework. There is a massive 20 missions included, which will take you over most of the Australian continent, so you will also get to explore the diverse landscape we enjoy "downunder". Special Feature! - We have included a special feature to allow you to use a plane of your choice in the missions. You do not need to make complicated actions such adjustment, modification or file editing. Just install the special feature, choose the plane from the FSX Free Flight Menu, then choose the desired mission and fly with your favorite aircraft. You will receive rewards and Mission Success message when completed, as well! With traditional mission files, if you used anything but the specified aircraft for that mission, you would not receive the reward. Flying Australia removes this limitation, making it far more flexible and versatile, and it will appeal to many more virtual pilots! Use with any Scenery Addon - Note also that you can use this Mission Pack with virtually any scenery add-on product too. So if you have existing Australian scenery addons or airport scenery add-ons, the missions will generally work fine with these as well. Mission features Flight briefing, Cabin preparation (Frequencies, Autopilot etc. ), Step-by-step Check Lists, and Procedures (pre-start, taxi, before t/o, after t/o, descend, landing, parking) with prompt menu. Crew announcements, speed calls and restriction, Captain speaking, GPWS and many more mission features are also added! The panels of the Flying Australia fleet provided with the package are pre-configured for Garret Smith's free FMC application, available as separate and free download on many flight simulation websites. Missions also feature the exclusive PES (Passengers Entertainment System), now fully customizable with your own sound tracks. When you reach the cruising altitude, a Prompt Menu will appear on your screen with PES Options. You can play up to six soundtracks in a single flight. An entire section of the User Guide explains how to use your own favorite soundtracks instead of those provided with the product. + User Guide with all necessary instruction to enjoy the product. Don't think about it... Just grab it and start enjoying flying in Australia with a purpose! Buy your copy now from Australia's original and best flight simulation retailer - PC Aviator - serving customers since 1990.